What a blessing to see hundreds receive Jesus and confess him as their Lord on the streets In one meeting addicts began to come for prayers even before the invitation! 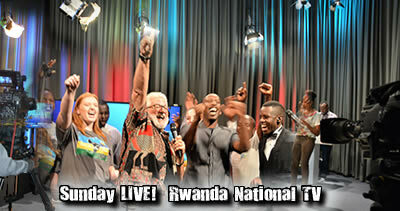 One of the most exciting opportunities that God opened for us was an appearance on SUNDAY LIVE on Rwanda nations TV (RTV.com). 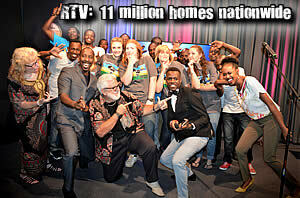 The Sunday morning program goes into over 11 million homes is streamed worldwide on the Internet. 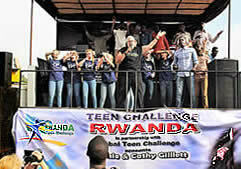 Pastor Willy, Executive Director of Teen Challenge Rwanda and his team joined nine singers from Oklahoma as we ministered the good news. 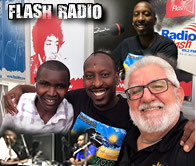 The hosts of the program, Ronnie & Becjy joined us Sunday night for the City-wide Rally, Youth in Action Against Drugs. God also gave unique favor on National Radio as each interview led to another invitation. On Sunday night, a 10 minute slot on a local secular rap station led to an hour interview where I rapped, shared the gospel and Pastor Willy shared TC. 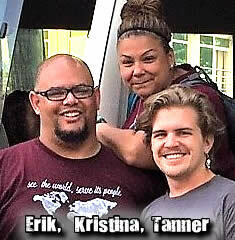 One of the real blessings that we have as Global Evangelism Coordinators for Global Teen Challenge Is the opportunity to work with Teen Challenge Centers around the world. 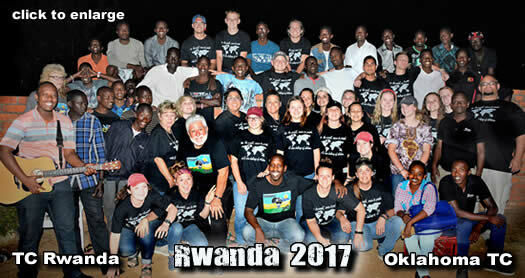 To see the young men and women from Oklahoma Teen Challenge adolescent centers “invade” Rwanda with the power of God, service, and prayer was truly amazing. Director Erik Watson and his team did a great job leading the students. As much as the students impacted the city, God also impacted many of their lives. 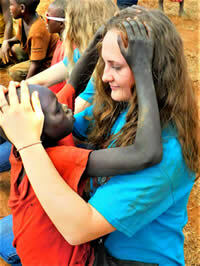 It was wonderful to see them grow in boldness and prayer. 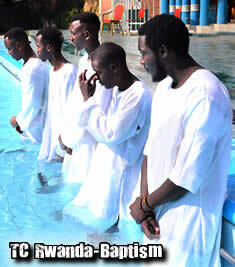 Many also grew spiritually, some were baptized in water, received Jesus Christ, or were filled with the Holy Spirit in Rwanda. On August 21, the USA was treated to an incredible celestial event, a solar eclipse. It was the first solar eclipse to darken the U.S. mainland since 1979 and the first in 99 years to cross the USA from coast to coast. An eclipse that met this geographical standard occurred in 1257, but that was over 400 years before the founding of the USA. 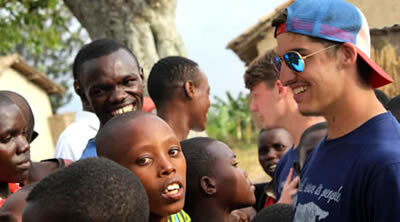 We were in Africa so we did not see it, but we surely heard about it. There was a great deal of conjecture regarding the implications of this eclipse in light of end times revelation. It is true that from Joel to Ezekiel to Isaiah, Old Testament prophets spoke of the darkening of the sun, moon, and stars--the “end times,” and proclamation of the coming “day of the Lord.” While this speculation is interesting, some of the mind numbing rants that I have read and heard, announcing the beginning of the tribulation period in 2017, are not founded in sound theological insight. Without wasting too much time on why a “natural eclipse” does not rise to the level of the fulfillment of biblical prophesy, I am more troubled by this preoccupation with predicting future events rather than evaluating our lives in the light of Scripture. 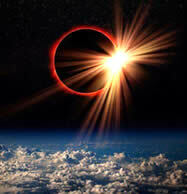 Simply spoken, an eclipse happens when the moon passes between the sun and the earth casting a shadow across the land. The moon, which God created (see Genesis chapter 1) to reflect the light of the sun, passes between that light and the object of that light, the earth. The shadow results in darkness which makes it impossible to see the sun. While some have called the celestial eclipse “nature’s grandest spectacle, ” in the Christian experience, an eclipse of our witness is one of life’s greatest tragedies. Rather than foolish silly "end times" conjecture, I’ve asked God to reveal to me when my actions are getting between the real Light, God’s love, and casting a shadow on the world that God has called me to reach. The love of God, is the true light. Our lives were created to be a reflection of God’s glory. I have asked God to reveal if there is anything in my life that, rather than reflecting His love, stands between God’s love and those that I am called to share His life with. It is possible that what I am "doing" is blocking what I saying? We teach what we know, but we reproduce who are. My prayer is that I will allow the light of God's Word, the conviction of the Holy Spirit and my relationships in the community of faith to so shine in my life, that my actions do not overshadow my words. Our witness is more than what we say or do, it is who we are. Without regard to the celestial eclipse of August 21, 2017, as Joel says, we ARE counting down to the “great and awesome day of the Lord.” Only by walking in the light of His glory and grace can this earth escape the judgment that will surely come on that day. May our lives reflect His light that our world can see and receive God’s love and mercy. With Jesus alive inside, may we not only reflect that light, but may we express that LIGHT. Let your light shine! He IS coming -- are you shining? You may not be able to pack your bags and get on the plane with me to go to Congo but you can travel the GLOBE from your home, our office or editing suites. 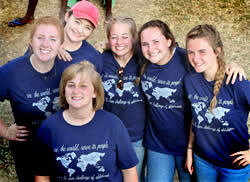 BE A PART of the miracle as we carry the gospel around the world. Volunteer an hour, a day, a week. 1) Find out how you can help to prepare transcripts from available media, edit video, or categorize, organize and title photos. 3) Can you help? We need help with Power points, flash drives, graphics, and video. 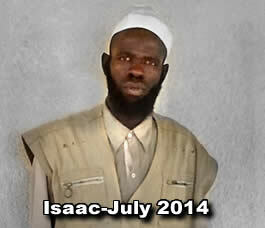 Isaac called morning prayers in the mosque. Addicted to drugs, suicidal, he heard about TC and came into the program where he committed his life to Jesus and God changed his life! 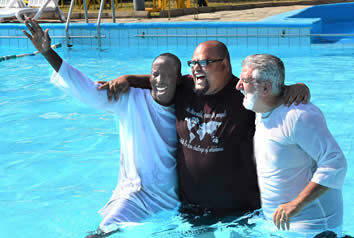 In 2015, Pastor Eric from Oklahoma TC and I had the opportunity to baptism to join Isaac in the water of baptism as God contused to move in his life. 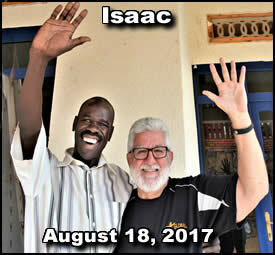 It was a real blessing to see Isaac, who came to visit when he heard "Mama Cathy and I were in Rwanda. You are an important part of our prayer family. 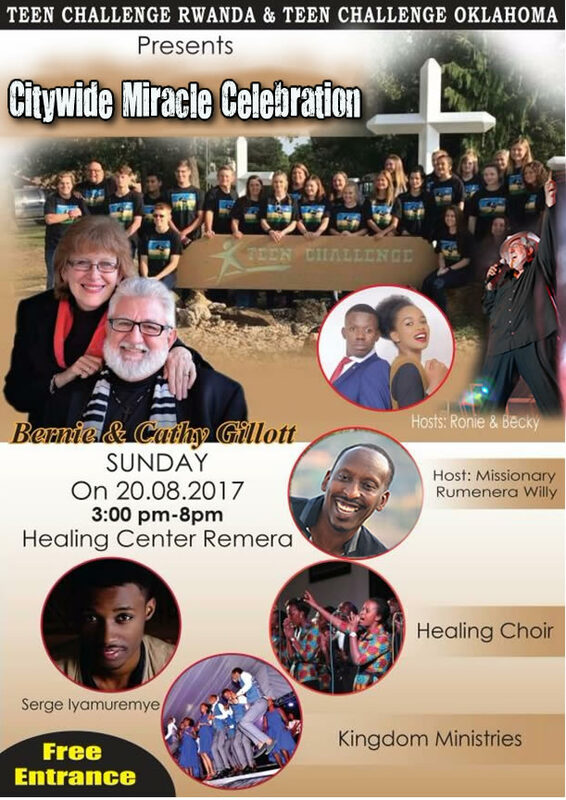 If E-ntercession has been a blessing to you, the stories, the miracles the partnership, please consider inviting a friend to join us. They can join the global harvest and be a part of this inner circle of E-intercession prayer warriors that are changing the world. 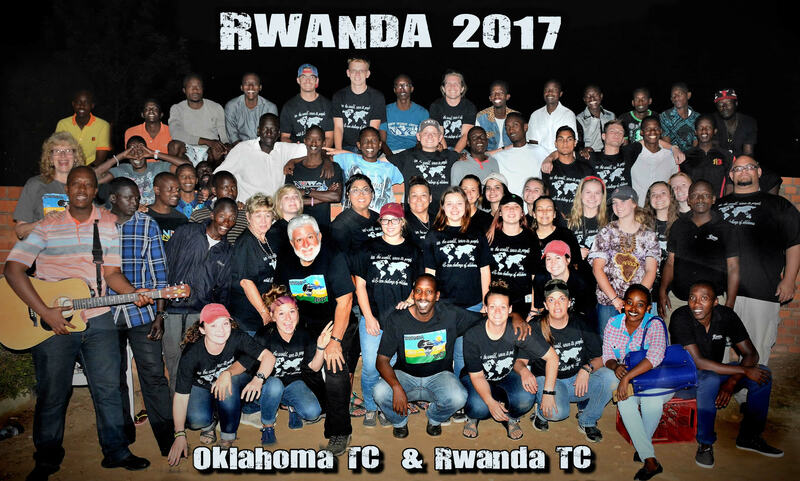 It was a real treat to gather on the final day of the mission for a special time of water baptism with students of Teen Challenge Oklahoma and some of the men from Teen Challenge Rwanda that committed their life to Christ while we were doing outreach. We are praying that God will use this step of obedience to launch these young men and women into a powerful new season of ministry as they rise from the waters of baptism to newness of life. As I write, 52 inches of rain have fallen, the most in the history of our country, and the rain continues to fall. Please pray for Houston and people across Texas, and Louisiana. A convention center set for refugees, prepared for the 3000, now has over 10,000 people. Pray for those going into labor and having babies. Pray that God will use the church in this hour to let their light shine. 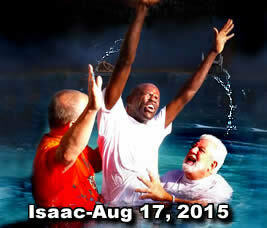 Pray for those that are still awaiting rescue, that God will send the answer to their prayers. And then, on their return, for God’s grace as they deal with, the mud, the mold, and the mess as they try to rebuild their lives. If you would like to donate toward disaster relief, we suggest two ministries which I work with personally and I can vouch for their faithfulness with your gift. 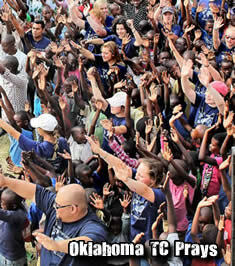 Convoy of Hope or Christ In Action. Our friends with Christ In Action will depart with a convoy on Friday and travel to Corpus Christi where they will meet up with Convoy of Hope at a church and join forces to help those in need. You can also forward your donations to the Potomac Ministry Network and they will see that the funds are distributed appropriately. Please pray for TC Fort Meyers who have taken on quite a bit of water- Pray for the students- their provision and God's hand of protection. Pray for a miracle of peace as another Missile Shot flew over TC Japan today. Please pray. I’m a little bit embarrassed to ask this with what’s happening in Houston and Louisiana right now, but please pray for Virginia as well. We are being hit by a tropical storm, high winds, and we are under a flash flood watch for the next 12 hours. Please pray for my son Pete and his wife Jess, as she will be going into the hospital tomorrow for the birth of our ninth grandchild, our beautiful granddaughter, Zoe.